Catering facilities available, changing rooms, pro shop with club, trolley and buggy hire and driving range on site. 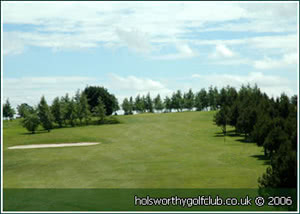 Pleasant parkland with gentle slopes, numerous trees and a few strategic bunkers. Small greens off a good test for players of all abilities.